Carol Asher offers the following services to support your life journey. By accessing your Akashic Records, Carol can reveal the keys to your happiness and success. Carol can give you answers that you are looking for and also help you understand why certain events are occurring or have occurred in your life. She can help you move in the right direction for your greater joy and self fulfilment. Very deep healing of the energy bodies where you immerse yourself fully into water using essential oils and flower essences to cleanse, heal and repair the chakras and aura. Shreshta Carol combines 30 years of energy healing experience and accesses the Akashic realm to download and transfer healing energies for your specific needs. 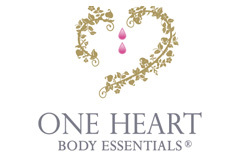 Carol uses her intimate knowledge of her flower essence system to tailor a personal flower essence blend to support you in the challenges of everyday life. Available in person or remote.